Owen’s book VITAMIN C CURES: Heart Disease (Formerly Practicing Medicine Without a License) documents the amazing 12-year, (now 26 year,) history of the Linus Pauling and Matthias Rath theory and the Linus Pauling therapy for reversing coronary heart disease. Linus Pauling and associates invented and patented a safe, low-cost, effective, non-prescription therapy for heart disease that Pauling said could “completely control, even cure American’s number one killer. Owen’s enhanced Pauling-therapy protocol for reversing heart disease from the book is available as an excerpt (PDF file). 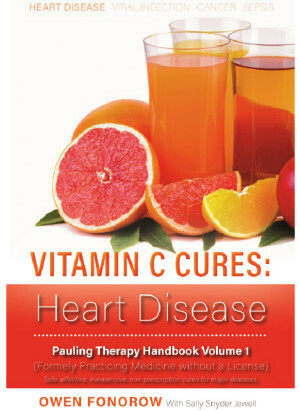 This protocol prevents and often reverses coronary heart disease, something Pauling predicated was possible after the patient corrects an ancient genetic defect (so-called GULO defect) that prevents humans from making their own vitamin C. Owen’s protocols are based on his more than two decades of study and recommending the Pauling therapy to heart patients. Web style cover image for Vitamin C Cures: The Great Suppression goes here. Owen’s new book VITAMIN C CURES: The Great Suppression documents how the great discovery of the cure for heart disease was and is deliberately being kept from the heart patients, medical doctors and the American public. Owen has made the majority of this book publicly available, Chapter by Chapter, here. Web style cover image for Vitamin C Cures Cancer goes here. 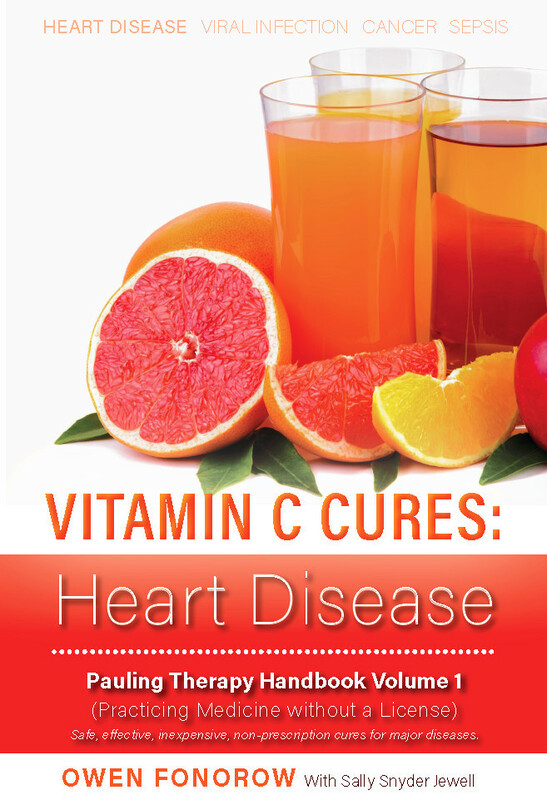 Web style cover image for Vitamin C Cures Heart Disease: For Physicians goes here. Web style cover image for Vitamin C Cures Viral Infection goes here.